Living in residence at Carleton University offers you the chance to become part of a vibrant community with many opportunities and conveniences. By making your home right on campus, you will have the chance to form new friendships and develop an important sense of belonging. You will enjoy living steps away from your classes, research labs, the Library, the Dining Hall, and our excellent athletics facilities. We offer opportunities for students to grow in areas of self-awareness and life skills, develop positive relationships with others, and promote student involvement in the residence and campus community. Residence also partners with many departments on campus to provide workshops, community outreach opportunities, academic support, and leadership initiatives. We also organize a wide range of social events so you can easily meet new people and enjoy your time in residence. Embarking on a new chapter in life, especially when living on your own for the first time, can take some getting used to. Carleton’s award-winning Residence Life program has been designed to help with your transition so you can reach your academic and personal goals. Students in residence will have the opportunity to meet people from around the world, and make friendships that last a lifetime. Over 3,600 full-time students currently live in one of Carleton’s eleven residence buildings. 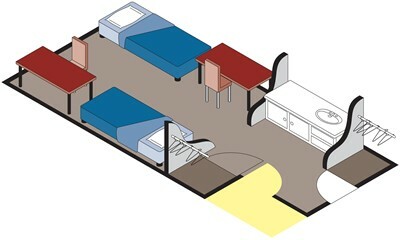 The majority of first-year students live in traditional double rooms, and there is a limited number of traditional single rooms and suite-style single and double rooms. 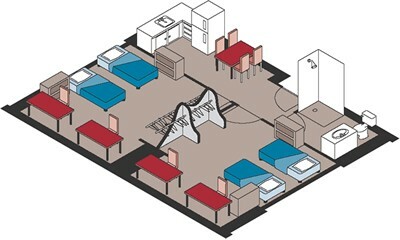 Residence rooms are carpeted and equipped with beds, curtains, desks, chairs, bookshelves, study lamps and closets. Washroom facilities range from communal-style arrangements to shared washrooms between rooms to washrooms in suites. The majority of floors are co-ed. Female-only and male-only accommodation in traditional residence is available if requested, but limited. A limited number of barrier-free residence rooms and 24-hour attendant services available. 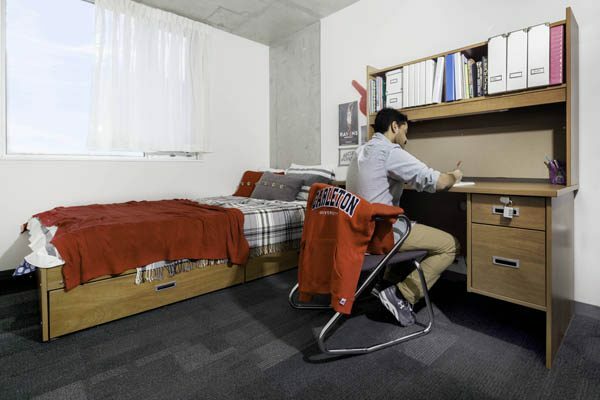 All secondary school or CEGEP students entering directly to first-year studies at Carleton in the fall who are admitted on or before May 15, 2019, are guaranteed a space in residence. You are required to accept your offer of residence and pay the residence deposit by 4:30 p.m. (ET) on June 10, 2019. To confirm your guaranteed space in residence, you must first accept your offer of admission to Carleton University. For more information on housing application procedures for Guaranteed 1st Year Students, visit the Department of Housing and Residence Life Services website. If you are not eligible for a guaranteed offer of residence, you can still apply to be included in the residence lottery held on June 13, 2019. For more information on housing application procedures for Non-Guaranteed 1st Year Students, visit the Department of Housing and Residence Life Services website. For more information about living in residence at Carleton, visit the Department of Housing and Residence Life Services website.